A lawn mower is an essential tool to have in your shed if you want to keep your garden beautiful at all times. With a myriad of models available on the market, it’s sometimes hard to decide which lawn mower is the best for your case. Today, we are going to talk about the self-propelled lawn mowers. If you’re new to gardening, the self propelled lawn mowers are tools that move by themselves. You will only have to control the direction of the mower and for this reason, these mowers are really easy to maneuver. But is a self-propelled lawn mower right for you? In this article, we’re going to describe the different types of mowers and the features of the self-propelled lawn mowers. 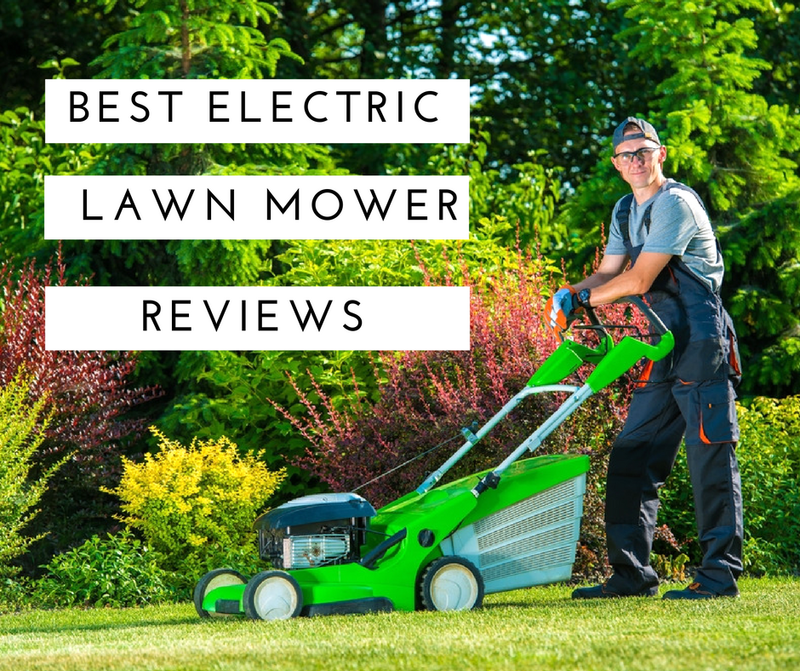 We also made a list of the best self propelled lawn mower reviews, to help you choose the right one. How to Choose the Right Self-Propelled Lawn Mower? On the market, there are basically two main categories of mowers, walk-behind mowers and riding lawn mowers. The riding lawn mowers are similar to the tractors, are convenient and effective to use and are ideal for large lawns. The walk-behind mowers, on the other hand, can be divided into four main categories. Manual mowers: the simplest models available on the market are the manual mowers, also called reel mowers. These mowers are made of a cylinder of blades and a handle, are suitable for small lawns and are auctioned exclusively by the physical force of the one who is operating them. The cutting quality is generally excellent and they are environmentally friendly since they don’t use any type of fuel. Electric mowers: these mowers are powered by electricity from a power cord or battery. They can also be divided into push mowers and self-propelled mowers. The models powered by power cord are typically lighter and easier to maneuver compared to the battery or gasoline powered mowers. They need a little maintenance but are not suitable for large lawns because the power cord is generally not long enough. The battery powered mowers also require little to no maintenance and will give you the freedom of movement. The downside of these mowers is the low autonomy of the batteries. Gasoline mowers: more powerful compared to the electrical mowers, these lawn mowers are also manufactured in both push and self-propelled models. They are powered by gasoline, need regular maintenance and are typically heavier than the electric mowers. The cutting quality of these lawn mowers is excellent and they are suitable for all lawn sizes and for all the types of grass. However, they present the disadvantage of being very noisy and they also produce toxic fumes. On the other hand, the storage of gasoline presents a further hazard. Robots: these mowers do all the job by themselves and are suitable for small lawns. They make alittle noise, are environmental-friendly and have a low power consumption. As you can see, when it comes to self-propelled lawn mowers, you can basically choose between an electric or a gasoline lawn mower. Since these types of mowers are also manufactured as push mowers, many lawn owners wonder which ones are best. Let’s see the main differences. The main difference between the push and the self propelled lawn mowers is that the first ones must be literally pushed during the mowing process, the gasoline or electric power moving only the blade. The self propelled lawn mowers move by themselves. Therefore, you will need to use less physical force, and you will only have to control the direction of the mower. Self propelled lawn mowers can be divided into front-wheel drive and rear-wheel drive mowers. The front-wheel drive mowers are generally less expensive than the rear-wheel drive and are ideal for flat lawns. These mowers are easy to maneuver since the front wheels swivel. The rear-wheel drive self propelled lawn mowers are suitable for uneven lawns because they have a better traction. Both electric and gasoline self propelled mowers have great cutting results, and the preference of one over the other is often a personal choice based on habits and commodity. As a general rule, the electric ones are more suitable for small to medium size lawns, while the gasoline models are more suitable for larger lawns. Push or reel mowers can be also powered by gasoline or electricity, but they have to be pushed to move across the lawn. These models are typically less expensive compared to the self-propelled mowers and are generally lighter. However, since you will have to put a lot of effort into moving the mower, they are not recommended for large lawns. Since the self-propelled lawn mowers are easier to maneuver and require less physical effort, many lawn owners prefer them over the push reel mowers. So let’s see how to choose the right self-propelled lawn mower. With so many models available on the market, deciding which is the right self-propelled lawn mower is not easy. Here are a few things to consider before choosing the model. Based on the size of your lawn you should choose either a gasoline powered or an electric lawn mower. The first ones are ideal for large lawns, while the latter for the small and medium size lawns. You could use a battery powered mower for a large lawn, but consider the autonomy of the battery. You might need to buy additional batteries if you want to mow all the lawn at once.The cutting deck size should also be determined based on the size of the lawn. Small cutting decks are suitable for small lawns and also for narrow spaces, so consider this when choosing the size of the cutting deck. If you have a flat lawn, consider buying a front-wheel drive self-propelled lawn mower. This type of self-propelled mowers is much easier to handle compared to its rear-wheel drive counterpart. On the contrary, if the lawn is uneven, a rear-wheel drive lawn mower is a better choice since it has a better traction. If you want to achieve good results, choosing a blade suitable for the type of grass of your lawn is essential. For the thicker types of grass, for example, you will need to choose a powerful mower with a large blade. Depending on the size of your lawn, you should choose a mower with a small engine capacity if your lawn is small or with a high engine capacity if the lawn is large. Remember that the mowers with high capacity engines are more expensive and also consume more fuel or energy. If there are any noise restrictions in the area where you live, know that gasoline lawn mowers are noisier compared to their electric counterparts. Bagging and mulching options: this will help you collect the grass easily or transform it into fertilizer. Cutting deck material: the most durable cutting decks are made of steel, but they need proper maintenance. Alloy and plastic, on the other hand, don’t rust. Safety features: the mowers equipped with safety switches or buttons will keep you and your family safe. Starting system: most gasoline mowers start with a pull-cord, but some modern models are equipped with starting buttons that are easier to operate. Electric mowers start with the push of a button. Adjustable handle: for your comfort, choose a model with an adjustable handle. For easier storage, the handle should be foldable as well. Adjustable cutting height: will make your mower more versatile, allowing you to cut through different types of grass with ease. This exceptional self-propelled lawn mower from Honda is excellent for all types and sizes of lawns, cutting through any type of grass with an incredible ease. The four 8-inch wheels provide enough traction on uneven terrains and make the mower easily maneuverable. In fact, this mower needs very little guidance providing a relaxing mowing experience. For your comfort, this lawn mower from Honda has variable speeds. This feature will allow you to choose any speed you like from 0 up to 4 miles per hour. The powerful engine and the 21-inch cutting deck make this tool perfect for large lawns. Six cutting heights: you can adjust the blades to the desired cutting height that may vary from 1.125 to 4 inches. Twin blade system: for a more efficient cutting, this self-propelled lawn mower is equipped with a twin blade system. Rear-wheel drive: to work efficiently on any type of terrain, this lawn mower has a rear-wheel drive that ensures an excellent traction. Easy to start: this gas powered lawn mower is equipped with a pull starter and starts easily. Although the blade is large it seems that it is not providing a 21-inch cut and you will probably have to overlap several times to get an even result. This cordless self-propelled lawn mower equipped with a 5.0 Ah battery is ideal for medium to large lawns, having an autonomy of about 70 minutes. The battery is compatible with GBA80200, GBA80400, and GCH8040 batteries and charger, so if you want more autonomy, you could think about purchasing a second battery to replace the drained one when necessary. The powerful 80V engine provides enough power to cut efficiently even through the thickest types of grass, while the 3-in-1 function of bagging, mulching, and side discharge make this tool very versatile. Silent operation: you will not have to worry about bothering your neighbors because this lawn more is surprisingly silent. Adjustable handle: for a better control, you can adjust the height of the handle to your own height. Seven cutting heights: depending on the type of grass you have, you can choose the most suitable cutting height from the available options. Smart-Cut: the mower will adjust its performances depending on the type of grass saving the energy. The engine seems to fail after a short period of use even if all the recommended maintenance and use indications have been respected. Equipped with a Honda CGV 190cc 4 cycle engine, this self-propelled lawn mower cuts beautifully through all types of grass, being easy to handle and maintain. Provided with an all-wheel drive, the mower has an excellent traction, working very well on sloppy lawns and rough terrains. The 22-inch steel cutting deck has an adjustable blade. This feature, together with the adjustable speed, makes mowing a fast and easy process. For more versatility, the mower features a 3-in-1 cutting system and a side bumper that doubles as a grass rake. 12-inch high rear wheels: to increase the maneuverability of this tool regardless the terrain, the manufacturer equipped this mower with large rear wheels. Honda engine: the CGV 190cc engine is powerful and easy to start. Adjustable handle: for your comfort, this mower features a 3-position adjustable handle that folds completely for easier storage. Water hose connection: for easy cleaning of the cutting deck, this mower is provided with a water hose connector. The mower might not mulch the grass as fine as it would be expected from such a valuable product. This self-propelled lawn mower from EGO is equipped with a 56V Lithium-Ion battery that provides up to 60 minutes of autonomy. With so much available time, this mower is perfect for medium size lawns and you can buy an additional battery if you have a larger lawn. EGO made this mower to last thanks to its weather-resistant construction, sturdy wheels, and 21-inch steel cutting deck. The powerful blade can cut through any type of grass, while the mower boasts the 3-in-1 mulch, side discharge, and bagging feature. LED headlights: mowing in the dark will not be a problem anymore, thanks to the convenient LED headlights of this mower. Fast charging: the battery recharges in about 60 minutes. In addition, the battery is compatible with all the EGO Power+ tools. Foldable: for easier storage and transport, the handle of this mower is completely foldable. 5-year warranty: the manufacturer offers a 5-year limited warranty for this product, so you will have plenty of time to test it. Expensive: compared to the similar mowers available on the market, this one is rather expensive. The last among our best self propelled lawn mower reviews is this TB370 163cc 21-inch In Step RWD Self-Propelled Lawn Mower from Troy-Bilt. This mower boasts an easy to start,powerful engine that is able to cut any type of grass fast and efficiently. Fairly lightweight for a self-propelled gas powered lawn mower, this tool has a rear-wheel drive and can be easily maneuvered on any type of terrain. The adjustable speed is another great characteristic of this lawn mower, as you can make sure that the mowing experience will be a pleasant one. Excellent wheel layout: this mower has two 8-inch front wheels and two 11-inch rear wheels. This layout increases the traction force. Wide cutting area: the 21-inch cutting deck is designed to mow your lawn fast. Six cutting height options: the blade can be adjusted to cut the grass at heights between 1.25 and 3.75 inches. Easy to start: this mower can be easily started by simply pulling the recoil starter. The only downside of this mower is that the engine stops as soon as you release the handlebar bail. As our best self propelled lawn mower reviews show, there are many excellent choices when it comes to choosing the best self-propelled lawn mower available on the market. While your final decision will be dictated by your brand preference, budget and other personal preferences, such as noise and pollution reduction, we believe that the best self-propelled lawn mower is the Husqvarna 961450021 HU800AWDH Honda 190cc 3-in-1 All-Wheel Drive 4X4 Hi-Wheel Mower in 22-Inch. The main feature we like about this mower is the 190cc Honda CGV engine that provides sufficient power for an easy mowing of any type of grass, while the all-wheel drive increases the traction and makes this mower easily maneuverable on any type of terrain. Suitable for all lawn sizes, the 22-inch cutting deck will allow you to mow the lawn in no time, while the 3-in-1 mulch, side discharge, and bagging feature will let you decide which cutting type is the best for you. In addition to these great characteristics, this mower also boasts a side bumper that doubles as a grass rake and a water hose connector for a more rapid cleaning of the cutting deck. Maybe the manufacturer could improve the mulch quality, but the overall features make this lawn mower the best self-propelled lawn mower available on the market.